An Elk Grove woman who was involved in a string of mail box thefts earlier this year plead guilty today to one count of bank fraud and one count of aggravated identity theft. Kerri S. Southwood, 21 of Elk Grove, along with two co-defendants, Leonard A. Velasco, 23, and Joseph D. Ryan, 20, both of Elk Grove, frequently damaged or destroyed U.S. 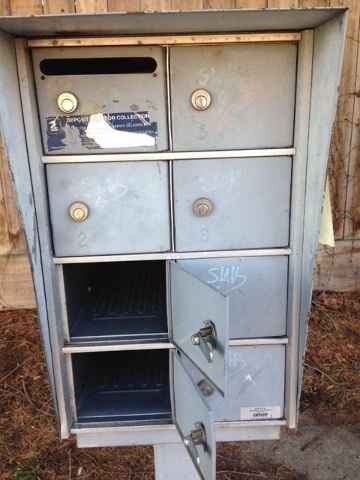 Postal letter boxes and stole U.S. Mail. After cataloguing the stolen mail, the defendants targeted certain postal customers in order to return to the mail receptacles to steal the replacement credit or debit cards mailed to the postal customers. According to court documents, between October 1, 2014, and February 12, 2015, in Elk Grove and other places in Sacramento County, Southwood and co-defendants The defendants also used ID information found in the stolen mail to apply for credit cards and had the cards sent to an address they controlled. Posing as the victims, the defendants used the credit or debit cards, PINs, and victims’ names to get money, goods and services. Additionally Southwood and her co-defendants possessed stolen U.S. Mail of over 1,000 victims and over 30 credit cards in victims’ names. 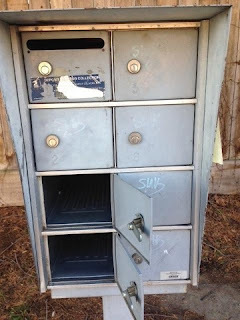 As a result of the destruction of postal receptacles, customers suffered the loss of mail and mail services and the Postal Service suffered the loss of over $30,000. This case is the product of an investigation by the United States Postal Inspection Service and the Elk Grove Police Department. Assistant United States Attorney Michelle Rodriguez is prosecuting the case. Southwood is scheduled to be sentenced by United States District Judge John A. Mendez on December 8, 2015. Co-defendant Velasco pleaded guilty on August 25, 2015, to bank fraud and aggravated identity theft and is scheduled to be sentenced on December 15, 2015. Prior to their arrests in this case, Southwood, Velasco and Ryan were arrested by Elk Grove Police on a variety of charges including drunk driving, shoplifting, narcotics, stolen credit cards and possession of burglary tools. Both Velasco and Southwood face up to 30 years in prison for the bank fraud conviction and two years in prison for the aggravated identity theft conviction. Ryan is scheduled for status hearing before Judge Mendez on September 15, 2015.